Provided clear, precise quotation as requested promptly. 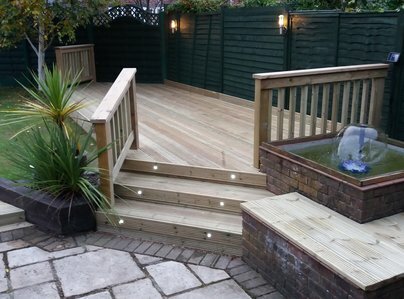 Carried out work professionally to a high standard. Removed all damaged fencing, posts and decking. I am well pleased with their competent work and would recommend. Nice strong fence, well made in two days of hard work. I have used this trader on four occasions at two different properties. A fact which should confirm my satisfaction with both workmanship and cost. The fence was damaged by a falling tree. Nick did a very professional repair, cleared all the debris and completed the work in good time and a fair cost. Trader turned up on time. Carried out good repairs at reasonable cost. Tidied up afterwards and removed all old wood. Went the extra mile, doing minor adjustments to other panels also. 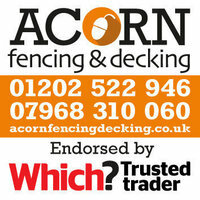 Very strong fence thanks to Acorn Trading. Polite to deal with. The trader was very friendly and offered a very professional service. 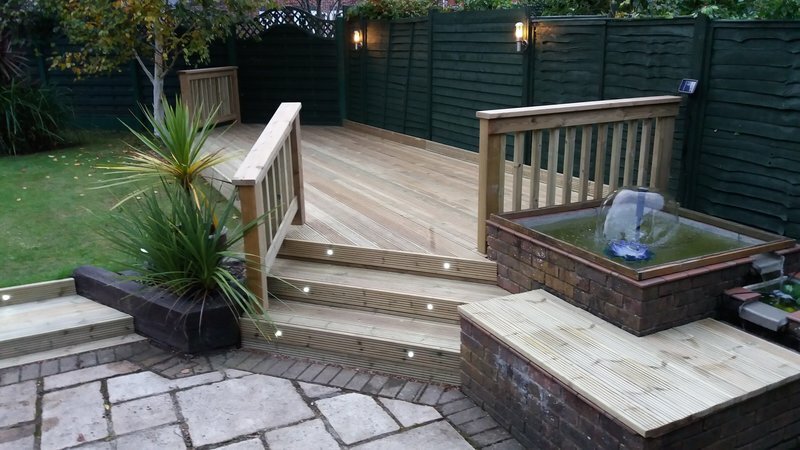 We were very impressed with the prompt and efficient work and would have no hesitation in recommending them and will definitely use them in the future. Nick was very professional and very pleasant. His work is first class. He was very prompt and left leaving the garden clean and tidy. Well done to him. 10 out of 10. Asked for a quote [for mum] to repair one fence and completely redo another fence. Very pleasant and professional. Gave good advice. Received competitive quote within 3 hours of visit. Nick and Andy did a super job. Cleared all rubbish. Mum very pleased with both fences. Would happily recommend this company. Acorn Fencing carried out a repair to my fence. Not a huge job but certainly not straightforward and Nick completed it brilliantly. Site was left clean and tidy and all debris removed. Certainly wouldn't hesitate to use again or give recommendation.